When setting up a multilingual website there are several Search Engine Optimization (SEO) factors to consider (for a full – not only multilingual related – WordPress SEO checklist have a look at this great article by Kinsta). Elements that contribute to good SEO also tend to improve overall user experience, so making sure your site ranks highly benefits both your business and your customers. First and foremost, you want to make sure that people are seeing the correct pages for their location. You also want to avoid penalties for content that is considered duplicate. Thankfully, Google has laid out some best practices for multilingual SEO, and there are a number of measures you can take to improve your rankings. 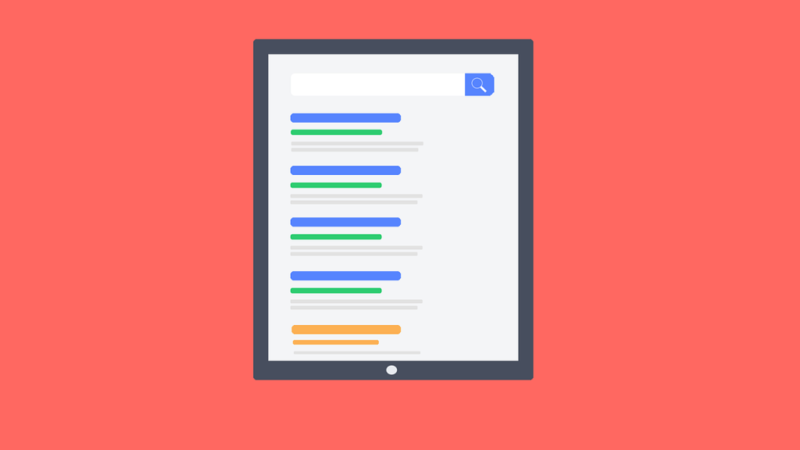 This article will guide you through three ways to optimize your site’s search engine rankings. To make life a little easier, some of these are automatically taken care of by our very own Weglot Translate plugin. One of the main fears with multilingual sites is duplicate content. While not all duplicate content is detrimental, content that appears within multiple URLs may lead to penalties such as lowered rankings or even deindexing. To avoid duplicate content penalties, Google’s best practices recommend using ‘dedicated URLs’ that include a language indicator – although doing so could still be misinterpreted. The indicator enables search engines and users to identify the language from the URL alone. For example, an original page might be www.example.com, while the French version could be www.example.com/fr/. Each of these have their pros and cons, but subdirectories are easy to set up and maintain. We use them within the Weglot Translate plugin, which uses rewrite rules to create a unique URL for each language. Aside from the aforementioned language indicators, Google also uses hreflang attributes to help determine both the language of the page and which region it is intended for. If a page is intended for multiple regions, multiple hreflang attributes can be added. However, it’s worth noting that this whole process is both complicated and time-consuming, particularly for beginners. If you use our Weglot Translate plugin, this step is done for you automatically, so you don’t have to worry about adding your own code. The main content is translated but the navigation text is in the original language. User generated content (such as forum discussions and comments) are in different languages. In both of these cases, the intended language and region of the page can be clarified by adding the hreflang tags discussed earlier. However, multiple languages on a page could dilute the user experience. In the first case above, the reader might understand the main content but have trouble navigating to other pages. In the second case, user-generated content in different languages could result in discussions losing context, and a confused or even frustrated reader. Fortunately, when you translate your pages with our Weglot Translate plugin, it automatically detects all content – including user comments – so you can be assured that everything will be translated. There are some cases where multiple languages on a page are actually beneficial to the reader, such as side-by-side translations on a language-learning site. In its multilingual site advice page, Google recommends avoiding side-by-side translations. However, if you do need to go that route, you should definitely make use of the hreflang tags we talked about earlier. You can even add multiple tags if appropriate. One of the relatively easy things you can do for your multilingual SEO (and SEO in general) is to make your website fast. Starting in July 2018, the time your website takes to load has become a ranking factor for search engines. That means, every little effort you put into making your website load faster, is going to directly influence the amount of traffic your website gets, particularly if some of your pages are slow (3+ seconds). Given that most of these optimizations are somewhat technical in nature, we would suggest that you install a plugin which implements these speed optimizations. Plugins such as WP Rocket, fix most problems identified by Google’s PageSpeed Insights, including the above points. Another effective and important way of making your website faster is to check your hosting plan. Most hosting plans are relatively cheap because your website shares the server resources with hundreds, maybe thousands of other websites, making it slow in the process. You can check the great reviews from our partner CollectiveRay like this one: InMotion VPS Hosting Review – Is It Worth the money? (7 thoughts). When creating a multilingual site, there are a several important SEO factors to consider. You need to ensure that your content is not considered duplicate, and that it is clear who the intended reader is for every page you produce. Addressing these issues will not only boost your rankings, but also improve the overall user experience. Fortunately, Weglot Translate can take care of most of it for you. Stick to one language per page. Do you have any questions regarding optimizing your multilingual site for search engines? Let us know in the comments section below!